Do you need to Undelete Files? Did you accidentially delete files? Lost something important when your computer crashed or hard disk crashed? Format or reinstall your PC? No problem! Recover My Files undeletes files on your PC, from your Recycle Bin, digital camera card, or external USB. 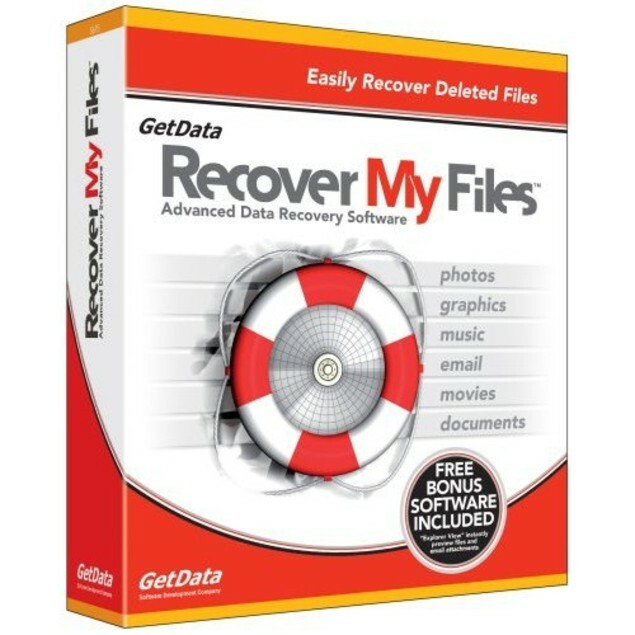 Recover My Files data recovery software will undelete files emptied from the Windows Recycle Bin, or lost due to hard drive format, virus infection, unexpected system shutdown or software failure. It has full options to search Windows temporary folders and can even locate and recover files that have never been saved! 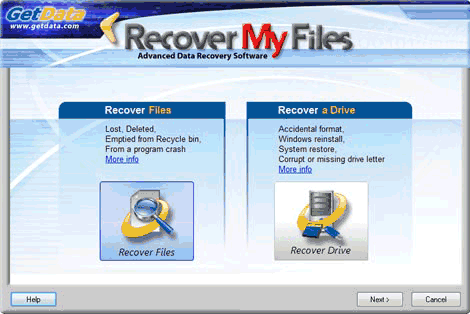 Recover My Files data recovery software requires no special technical skill. It is compatible with all versions of Windows up to and including Windows 8. Undelte files from all types of internal and exteranl media, including hard drives, USB drives and digital camera media. It will unerase, and recover deleted files with ease. - Recover documents, photos, video music and email.